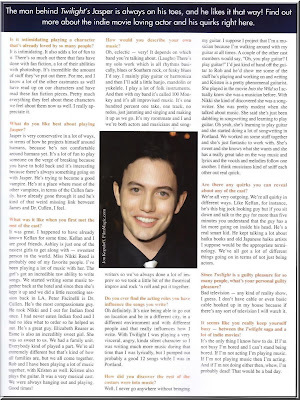 TwiCarol's Place To Play: Magazine Scans & ... Wait, Is That Some New Pics?! Why Yes, It Certainly Is! 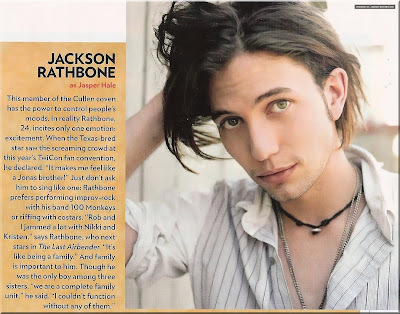 Magazine Scans & ... Wait, Is That Some New Pics?! Why Yes, It Certainly Is! 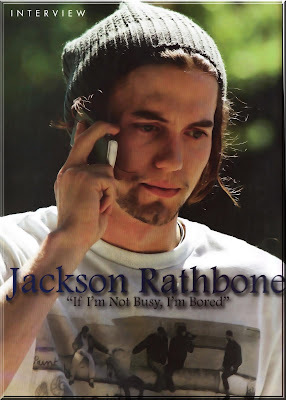 Found these magazine scans on Jackson Rathbone Online originally. And, yes, there are some new pics in the Glamour UK November Issue. 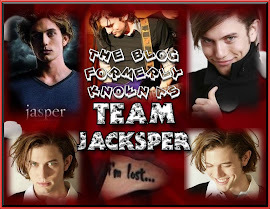 *Now updated with HQ scans found on Team-Twilight via Kellan Lutz Online & expanded to include whole article* Gorgeous pics, just a pity about the one where you can't see him properly because Ashley Greene is on his face... =P Lucky lady!